Most commonly used for pain relief as well as sore muscles and joints, the Thermotex Infrared Heat Therapeutic TMJ Horse Hood has fantastic benefits. The TMJ therapeutic hood is designed with two heat elements that are directly over the TMJ of the horse and has two elements over the muscles of the upper part of the neck. See the additional information tab for instruction on it’s use. The Thermotex Infrared Heat Therapeutic TMJ Horse Hood will remove lactic acid build up in your horse’s muscles, help to remove soreness from injuries, help reduce sinus inflammation, and the Thermotex Infrared Heat Therapeutic TMJ Horse Hood will even help remove joint inflammation caused by arthritis. 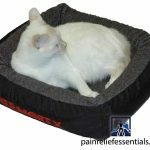 You’ll find that the Thermotex Infrared Heat Therapeutic TMJ Horse Hood will act as a diuretic for bleeders and will also remove sinus congestion. 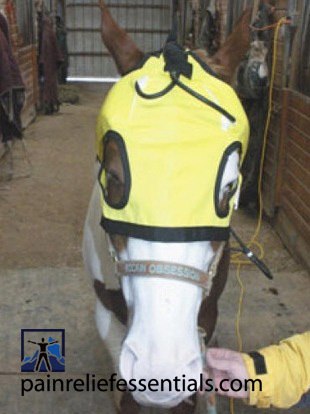 The Infrared Heat Therapeutic TMJ Horse Hood will also reduce lactic acid levels. Because we have this product shipped to you directly from the manufacturer, we are able to save on inventory costs and offer the lowest price available that includes shipping and handling. 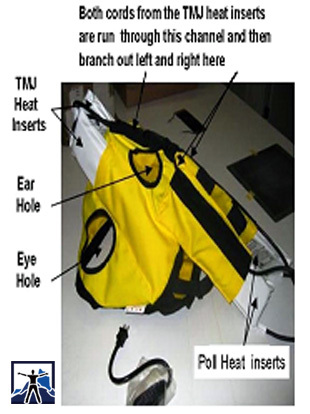 The hood is shipped to you direct from Alberta, Canada, by DHL Air. For delivery in the United States your package will normally arrive within 2 to 3 business days. 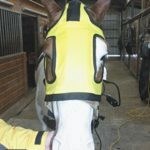 How Does the Infrared Heat Therapeutic TMJ Horse Hood Work? The advanced technology utilized by Thermotex™ Equine Therapy Systems delivers a relaxing and deep, penetrating heat right where it is needed most. Using infrared therapy in this Thermotex Infrared Heat Therapeutic TMJ Horse Hood increases hemoglobin 25% to 28%, helps relieve sore muscle and pain from arthritis, as well as back ache. You’ll find that your horse will have an improved hair condition as well since the systems help bring out the natural oils of the skin. Sorry, the Thermotex Infrared Heat Therapeutic TMJ Horse Hood is not eligible for discount coupons.